Award of a substantial amount of additional design and engineering work for a ﬂoating storage and oﬄoading (FSO) vessel for a major Norwegian Continental Shelf project, plus other work for Norwegian clients, make Norway ICE’s largest market in 2016 in terms of professional engineering man-hours. Over the last decade, ICE has provided technical services to about 25 Norwegian clients and is thus familiar with NORSOK and PSA standards. 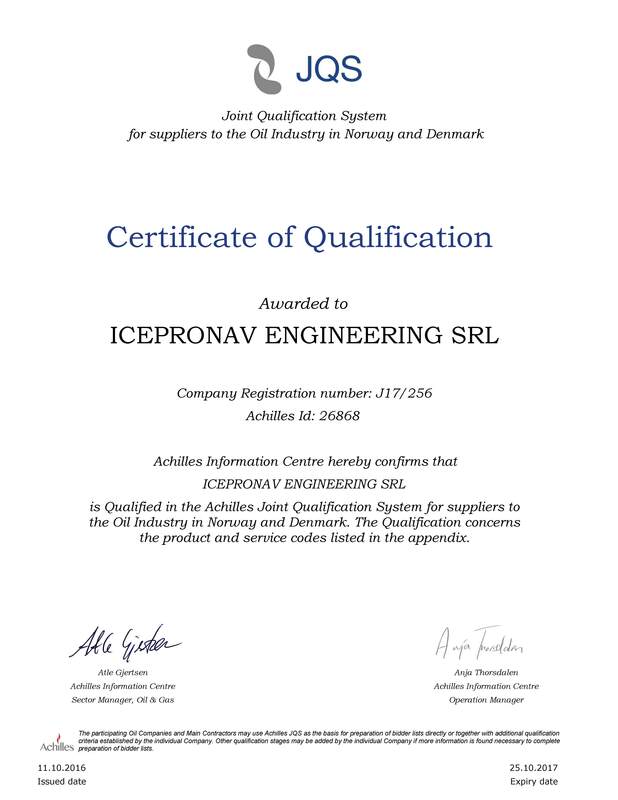 It is therefore entirely ﬁtting that ICEPRONAV Engineering SRL, ICE’s Romanian design oﬃce has just been granted a renewed qualiﬁcation in Achilles Joint Qualiﬁcation System. Achilles JQS is a supplier register and pre-qualiﬁcation system for the Norwegian and Danish oil and gas sector. 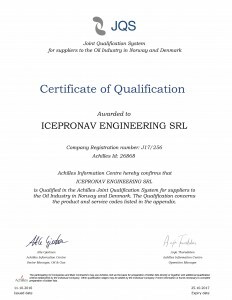 ICE has been an approved supplier through Achilles since 2008. This certiﬁcation highlights ICE’s commitment to quality and oﬀers assurance of pre-qualiﬁcation to existing and future clients.